Discovery: "9/11: After the Towers Fell"
On Thursday, Sept. 30, HBO presented the documentary “My Trip to Al-Qaeda”, directed by Alex Gibney, written by professor Lawrence Wright. Dr. Wright starts with his own time in 1969 at the American University in Cairo but quickly moves into an illustrated lecture or monologue (set up as a one-person play) giving a history of radical Islam, and his exploration of it. He describes the hajj as a dress rehearsal for the process from life to death, with complete subjugation to God. He describes Saudi Arabia as a place with no sense of democratic participation in public life as we know it; one always knows one’s “place” relative to royalty. He describes 9/11 as having a “Hollywood” aspect. The HBO mirror website is here. The film apparently was shown at Tribeca. He describes what expectations must have been like for Osama bin Laden’s first wife; everyone was struck with this concept “I chose humility, but humiliation is forced on me”. It goes back to Sept. 11, 1683. He says “the humiliated have a license to regain their dignity”, and explains how humiliation, and the addictive hatred associated with it, “sells”. He goes on to explain the nihilism of Al Qaeda ideology. He describes a visit from the FBI, wanting to know about calls made to London from his phone. His daughter gets linked to their lists, and finds out the FBI has been listening in. Bin Laden said “all I have to do is make a statement, and the Americans will terrorize themselves.” Then “Al Qaeda can’t destroy America. Only we can do that to ourselves.” And the film ends. As filmmaking goes, how effective is "the annotated lecture" without even an interviewer? All Gore made it work in "An Inconvenient Truth". “Mystery of the Megavolcano”, part of the PBS Nova series, was aired on Sept. 21, 2010. The best link seems to be this. A megavolcano is more commonly called a supervolcano. The huge dimples in the Earth, up to a 100 miles across, have only been discovered in the past few decades. The film shows the efforts of four independent geologists around the world to trace a suspected massive eruption in the distant past. Examination of Greenland ice samples showed the emission of sulfuric acid about 75000 years ago, consistent with a supervolcano eruption about the time that homo sapiens was almost wiped out. Examination of oxygen isotopes in the ocean shows enormous ocean cooling about this time. The first thought was the supervolcano could have been in Iceland. 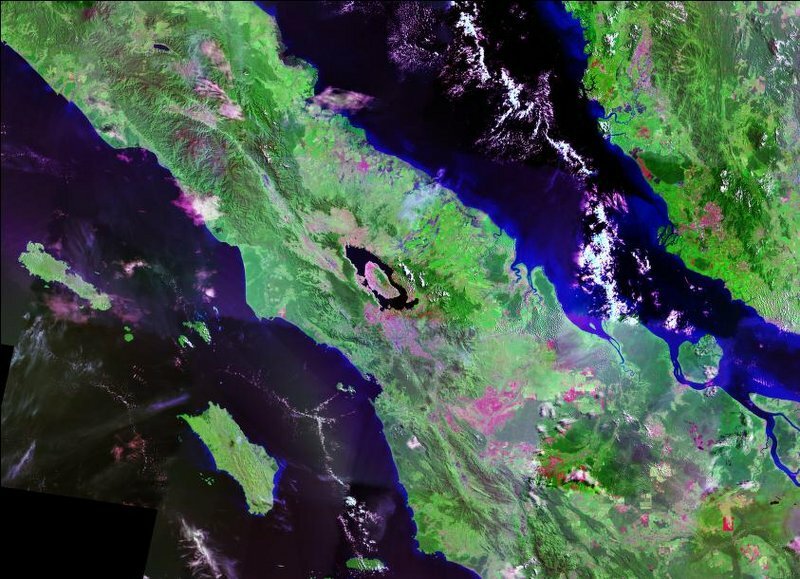 But investigation led to Lake Toba, over 100 km long, in Indonesia. This may have been the largest supervolcano in the world and its explosion may have precipitated an ice age. Apparently this is a different volcano from Krakatoa, about which several films have been made, concerning its 1883 eruption; this was a borderline “supervolcano”. The documentary covered briefly the US supervolcanoes, Yellowstone and Mono Lake. Since Yellowstone (which moves east gradually) erupts every 600000 years, we are about due. And a supervolcano eruption would be a civilization challenging “Event”, spreading ash over an entire continent, maybe leading to a prolonged “winter”. Wikipedia attribution link for Labe Toba aerial view, p.d. A new episode on TNT of “The Closer”, staring Kyra Sedgwick as the Georgia detective Leigh Johnson who now leads the LAPD’s Priority Murder Squad, demonstrated some of the problems that both federal (FBI and Homeland Security) and local law enforcement have with domestic “lone wolf” types. Tonight , in Season 6, Episode 10, “Executive Order”, the “villain” (Phillip Keene) bears a resentment over “reserve discrimination” and “affirmative action” from having not been chosen for the Fire Department. In fact, he “failed” personality tests that showed he had a “narcissistic personality”, because is responses to standard questions showed an unrealistic sense of his own importance apart from dealing with other people in real ways. For example, the character says that violence is sometimes necessary to show other people how wrong they are. While taking care of an old man, he steals a wheelchair and pretends to be a disabled policeman. He has engineered unusual poisons leading to deaths of EMT personnel, and in the final scene in a garage seems to have a sarin dispersal device on his body. His personality is depicted as like that of "Ted" Kaczynski, and he even has a “Manifesto”. The idea of a “Manifesto” is getting a bad rap. The link for the show is here. Saturday Sept. 11 CNN aired a one hour report “Bin Laden’s New Jihadists” with Drew Griffin, Fran Towsend and Nick Robertson, link here. The site links to CNN’s SIU (Special Investigations Unit) page that as of now does not yet have any material on the program. The closest news story I can find, about Omar Hammami , is dated Aug 12 , here. The most extreme voices in the world of radical Islam, as depicted in the program, demand that all people become literal believers (as they see it) and that religious law take over the entire west, including the United States. The show went into discussing the lone wolf “bad actors” also. The program noted that many of these persons were well off at one time but it did not get deeply into the psychology (or forensic psychiatry) of turning to extremism. I suspect that the broadcast will be replayed several times in the next couple of weeks. CNN has a video documenting that residents of San Bruno CA had smelled gas in the area for as long as three weeks, before the gigantic explosion Sept. 9. If complaints had been ignored, this would become a huge legal issue. There are many other videos documenting the destruction to over 50 homes in one of the largest residential gas explosions ever. Flames shot several hundred feet into the air, and many residents thought that a jumbo jet plane had crashed. There was a much smaller incident in the Bay Area in 2008, and apparent Pacific Gas and Electric employees did not follow through properly on a suspected error in engineering. The media has reported the area as a "crime scene" although the "crime" is likely to be corporate negligence. The idea of an incident like this is in a natural gas line is scary. In many older cities and some suburbs, water main breaks are common. One in suburban Montgomery County, MD in December 2008 swept away many cars. Deterioration of a gas main with time would be an even bigger public safety problem. Moxnews has a longer version of this video from CNN (link) Moxnews describes itself as a news documentation and “keeping them honest” site. I remember there was a major gas explosion in northern Virginia in 1972. Personally, I like “all electric” and think that the ideal home would have solar or wind on the premises to use when possible. Such a home would have utilities even when all power is out. If all homes did this, the US would be much more secure from an enemy attack on the grid. All of this speaks to the importance of infrastructure safety. History Channel: "9/11: State of Emergency" and "The Man Who Predicted 9/11"
The History Channel aired a two-hour documentary “9/11: State of Emergency”, which replayed the events of the first two hours of the 9/11 tragedy, with particular emphasis on the communications between the president (starting with Andrew Card’s notification at a school) and the rest of the defense staff. Flight 93 is relived, and the order to shoot it down issued by Cheney is recounted. A young flight attendant on American Flight 11 was the first to notify ATC of the hijacking of the fist plane. The President did not realize it was an attack until the second plane hit. The CBS footage from “What We Saw” was used. Some firemen and one civilian were trapped on the 4th floor of the North Tower when it collapsed but were rescued. The film was preceded by a one hour documentary, “The Man Who Predicted 9/11”, about Rick Rescoria, head of security for Morgan Stanley. This goes back to the 1993 WTC incident. This does not seem to be the same film as one by the same named aired a few years ago on PBS Frontline. 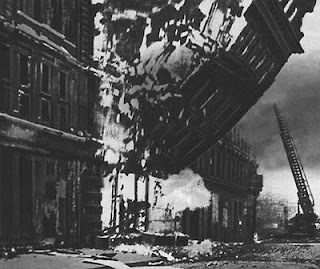 On Tuesday Sept. 7, AOL put up a 1+ minute AP “rare colour” video of the results of the Luftwaffe attacks on London during the “Battle of Britain” in 1940. These may have been the September attacks. It’s quite impressive, and disturbing, to look at, and gives a feel for what it is like for a civilian population to deal with destruction caused by an outside enemy at war. The link is here. I didn’t see any embed code. Wikipedia attribution link for picture. Sorry, it's in black and white. Only a nitwit would make a movie called "color" in black and white! On Sunday Sept. 5, 2010, the Discovery Channel aired “9/11: After the Towers Fell”, a new one hour documentary of the rescue work to save victims trapped in “The Pile”, the seven-story mountain of debris at ground zero. The best link for the show is here. A high school principal faces the loss of her younger sister at Cantor –Fitzgerald (while leading the students to safety in other boroughs), and a firefighter doesn’t know if his brother survived. Firemen carry equipment that makes high pitched beeps from debris to help locate them. One man is rescued when found. People keep getting delayed voicemails from people in the towers for two days. The documentary echoes Oliver Stone’s 2006 film for Paramount, “World Trade Center”, which I saw and found rather painful to watch. The Discovery Channel followed this show with a one hour “Secrets of the Secret Service”. The show described the expensive armor that a Utah company can provide for limos of the president or of corporate executives, and a company in Colombia makes not only bulletproof suits but even polo shirts. I doubt anyone wears them in discos. Read Thomas Carlyle's "Sartor Resartus". The documentary discussed how the Secret Service changed after the 1963 JFK assassination and also the 1981 attempt on Reagan. The Secret Service has always been pretty active on USA Jobs, and the show would have done well to go into the requirements for employment. The film also covered the attempts on Gerald Ford. The Secret Service had interviewed Sara Moore before and thought she was not dangerous. A gay man, Oliver Sipple and former Marine, stopped the attempt (not covered in the film), sometimes mentioned in the "don't ask don't tell" debate. "Asteroid Attack" on "The Universe" on "History Channel"
The Universe episode “Asteroid Attack” aired on Sept 2, 2010 on the History Channel’s “The Universe” series, directed by Ron Beemer. Again, "The Universe" is starting to replace "Mega-Disasters". 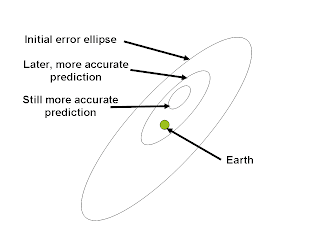 It starts with a discussion of the asteroid Apophis, which at one time (in 2004) was thought to have 1 in 37 chances to hit Earth in 2036. Now that’s reduced to 1/250000. But if it passes through a sliver of space in a 2029 approach called “The Keyhole” the odds go way up. I wasn’t aware that the Chesapeake Bay, along the East Coast, was created by an asteroid 30 million years ago, striking above what is Norfolk today; the crater was found in the 1990s with underwater oil exploration. The tsunami wave may have crossed the Appalachians. Rocks from the explosion are located along the coast. 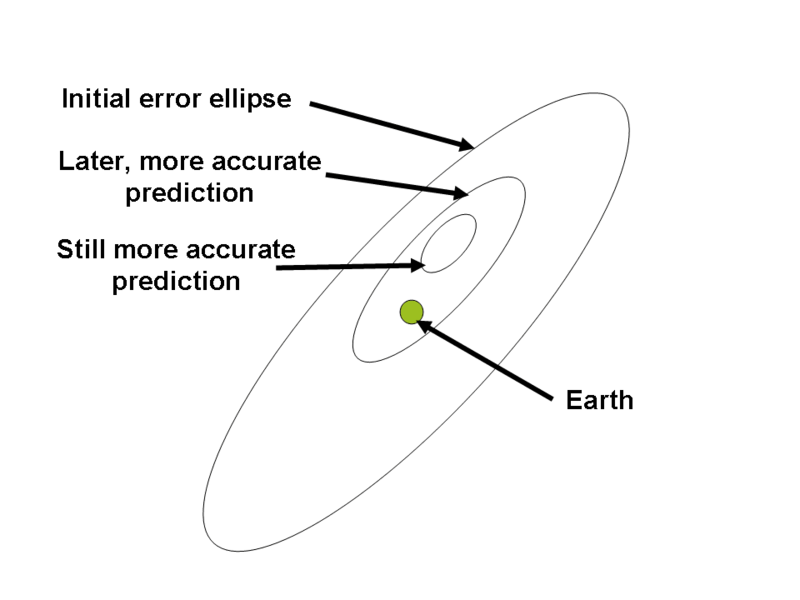 With most asteroids large enough to do huge damage, there would be years or decades of warning. Comets, on the other hand, because they come from the outer reaches of the Solar System, are not seen until perhaps six months before they could strike. The largest impact crater in the world is in South Africa, about 180 miles across, with a rebound peak in the middle. The Obama administration has made exploring asteroids a priority. Larger one have some tectonics and may have internal ices, and enough gravity to hold a spaceship. One unmanned probe has landed in Australia with a sample of an asteroid. In 1972, amateur filmmaker caught an asteroid skimming the top of the atmosphere over the Tetons.